Jersey City Heights residents can just follow the crowd. Central Avenue is up the street and around the corner. The Jersey City Heights is a very walkable community and a big part main street living. Parking on Central Avenue - There are nearly 250 street meter parking spaces serving the district and another 250 parking spaces in the surrounding municipal parking lots. Meter enforcement is Monday through Saturday, 9:00 am to 6:00 pm. 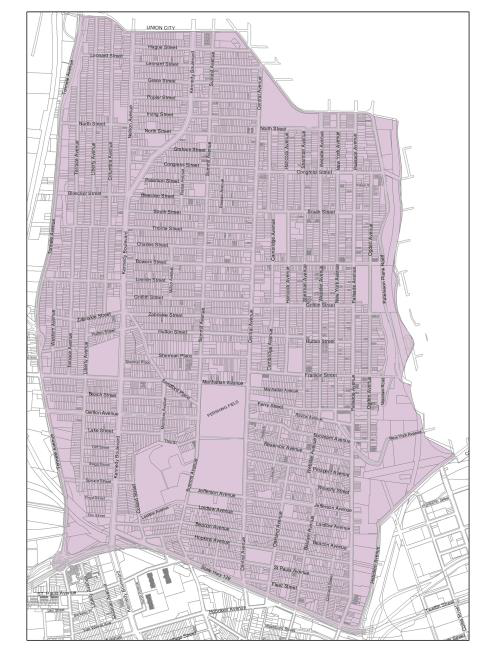 Parking in The Heights - Parking Zone 16 encompasses all of The Heights neighborhood (Map) and allows area visitors to park on the street up to 4 hours per day. Permits are required for all residents and area workers parked in the zone over 4 hours. Permits can be obtained online or at the Parking Enforcement Division Office, located at 394 Central Ave, Jersey City. Permit fees are established by City Ordinance 17-033. For more information, visit the City of Jersey City website.